PureCars Platinum Dealers are different. 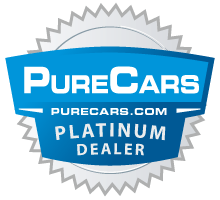 They provide customers a PureCars Value Report on every pre-owned vehicle right on their website, offering the information you need to make the right decision on your next vehicle. Regularly $14.95 each, Platinum Dealers provide Value Reports for free, giving you the confidence to find just the vehicle you want at a value you'll love! 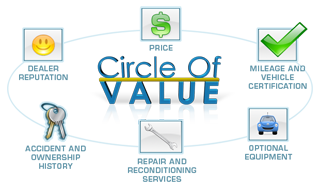 Want to be sure you're getting a Good Value on your next vehicle? 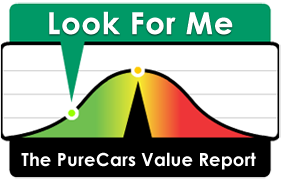 View a free PureCars Value Report by clicking the PureCars Value Report icon found on the used vehicle pages on this dealer's website. From Price and Mileage Analysis, to Vehicle Certification, Accident + Ownership History, Factory Options, Vehicle Reconditioning, and a Local Market Comparison, the PureCars Value Report provides information to help you find the vehicle that best fits your value needs. Print a copy and bring it with you to the dealer, and use the PureCars Value Report to shop smart!